Tourists to Japan can take in the impressive sights of the 3776 meter high perfectly shaped volcano called Mount Fuji or relax in the many different mineral thermal springs that are scattered throughout the country. They can revel in Tokyo, one of the busiest cities in the entire world, or they can travel to Himeji Castle, the only castle in the country to have never been destroyed through earthquakes, war or fire. Japan is such an interesting mix of culture, history and cutting edge technology that it stands out as a fabulous vacation destination. 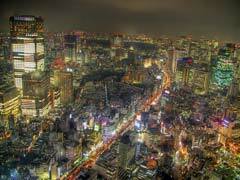 Tokyo allows travelers to Japan the excitement and energy that comes from a large city. The Tsukiji Fish Market is one such place, allowing tourists to see how the market functions and how the tuna auction works. Only 120 people per day are allowed inside to witness the auction, so get there early! The Imperial Palace is the official residence of Japan’s Imperial Family, but tours of the grounds and the magnificent double bridges, called Nijubashi, are available to those visitors wanting a peek at the royal estate, buildings and gardens. Japan’s tourism relies as much on the old as it does the new, and the Tokyo Skytree is definitely one of the new. This 643m tower features two different observation decks with breathtaking panoramic views and has a shopping center and an aquarium at the base. Ueno Park was originally part of the Kaneiji Temple, but today serves as a park that is occupied by pieces of the original temple along with the Tokyo National Museum, The National Museum of Western Art, The Tokyo Metropolitan Art Museum, the National Science Museum and the Ueno Zoo, Japan’s very first zoological garden. Thousands of cherry trees line the main pathway and during the blooming period make a lovely backdrop to vacationer’s photos. 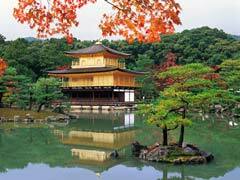 Kyoto lies to the west of Tokyo and is home to the Nijo Castle, built in 1603. Those traveling in Japan can see this elegantly decorated castle along with its many audience and waiting rooms as well as the gardens that boast ponds, ornamental stones and manicured pine trees. Ginkakuji is a Zen temple that is made up of 6 different buildings, a moss garden and a dry sand garden, while Sanjusangendo is a temple featuring 1000 statues of Kannon, the goddess of mercy standing in rows inside the great room. Both also boast other buildings, walls, pagodas and gardens and a unique insight into the history of the ancient cultures. South of Kyoto is Osaka, the home of world famous Osaka Castle and modern attractions such as Universal Studios Japan, the first in the brand to be built in Asia and the most visited theme park after Tokyo Disney. Here you are treated to all the Universal attractions that you may be familiar with back home, as well as character interactions, shopping and restaurants. The Shitennoji Temple is one of the oldest in all of Japan. It was built in 593 and offers tours through the pagoda, main halls, inner precinct, gardens and a treasure house that has paintings and scriptures on display. 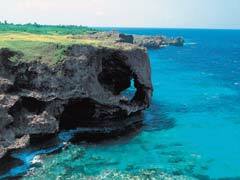 Okinawa is located in Japan’s southernmost area and as such has subtropical temperatures. 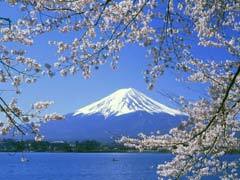 Many museums, gardens, aquariums, parks and waterfalls are places that people traveling to Japan can enjoy. The Shuri Castle is a reconstructed former Ryukyu royal palace and today tourists can visit it to see how life was centuries ago. The Pineapple Park is a small park dedicated to all things pineapple; how they are grown, the history of the pineapple and samples of this tasty fruit is on hand. The thermal pools of Kyushu are also located in the south of the country, on the third largest island in the chain where 9 hot spring areas are spread about. Kurokawa Onsen is a very natural, back-to-basics thermal spa that hasn’t given in to the glitz and neon that some of the other baths around the country have. This allows tourists to Japan a chance to relax amid the natural beauty that surrounds the springs and concentrate on the healing properties of the mineral waters. Way up in Japan’s north is the province of Hokkaido of which Sapporo the capital. This is Japan’s 5th largest city and features an open air museum, the Okurayama Ski Jump (in the former Olympic Stadium) and Odon Park, a public park situated right in the middle of the city. 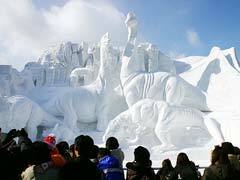 Teine ski resort is nearby, offering tourists to Japan a ski area in the place that receives some of the heaviest snowfall in the world. Japan is a land of extremes and travelers to Japan can take in many varied activities, cuisine, landmarks and natural beauty, not to mention culture and history that the country is so rich in. Japan may have been devastated by yet another earthquake and tsunami in the not too distant past, but the country is strong and open for business and tourism.